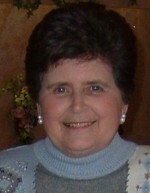 OSWEGO, NY – Beatrice A. Cliff, 76, a resident of 179 E. 11th St., Oswego, passed away Saturday morning March 17, 2012, at her home. Mrs. Cliff was born in Oswego, the daughter of the late Edgar and Anne (Weigelt) Manwaring. Prior to her retirement, she was employed as the secretary for St. Paul’s Church in Oswego. She had previously worked in the office of the Bishop Cunningham High School. Mrs. Cliff was a communicant of St. Paul’s, and a member of the church Altar Rosary Society. She was an avid bingo player, and was known by everyone as a great lady. She was loved by all her co-workers, friends, and family members. She will be always be remembered as a wonderful wife, mom, grandma, and great-grandma. She is survived by her husband of 52 years, Neil P. Cliff of Oswego; three daughters Dale Anne Galletta of Cicero, Cathy (Glenn) Sharkey of Sterling and Mary Cliff of East Syracuse; two sons, Christopher (Tracie) Cliff of Oswego and Neil J. (Theresa) Cliff of Oswego; a brother, Edgar (Barbara) Manwaring of Oswego; two sisters, Jeanette (Tom) Cliff of North Carolina and Dale Case of Florida; nine grandchildren, Brianne (Shawn) Hern, Paul Galletta Jr., Anthony Galletta, Nikita Sharkey, Glenn Sharkey III, Ethaniel Cliff, Kristy Ellsworth, Rheva Cliff and Neil Austin Cliff; three great-grandchildren, Madison Hern, Piper Hern and William Ellsworth; and several nieces and nephews. Funeral services will be held at 10:30 a.m. Thursday in St. Paul’s Church. Calling hours will be held from 4 to 7 p.m. Wednesday at the Dain-Cullinan Funeral Home, 112 E. Second St., Oswego.